Landau Building Company is pleased to announce the completion of the East Liberty Presbyterian Church renovations. The church is a defining landmark in the East Liberty community, and we are proud to have worked on such a beautiful and historic structure. The project encompassed seven floors of the church, focusing on the “health” of the building – lowering energy usage and increasing indoor air quality. Over 40% of the project was mechanical/electrical upgrades to accommodate these improvements and reduced the Energy Use Intensity from 83.6 to 58.6. Improving the indoor air quality was incorporated for the health of the church employees suffering from asthma. Landau worked closely with Craig Stevenson of the AUROS Group for this portion, who was hired for his expertise in deep green services. The remaining scope of work included relocation and renovation of offices, classrooms, and meeting spaces, as well as renovations of select restrooms and a remodeled dance studio. The Whitfield Street entrance was remodeled for better handicap accessibility, including a new ADA ramp and new glass entrances were installed on the southwest side of the church. East Liberty Presbyterian Church was planning these renovations for years, calling it “Building Our Future” renovations. At the conclusion of the project, the church celebrated during Sunday worship service and hosted a grand opening of the renovated spaces, including guided tours and speakers for each area and refreshments on every floor. Landau Building Company is pleased to welcome Randy Krueger as Estimator. Randy is joining Landau’s estimating team. 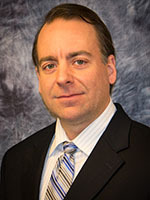 He brings 15 years of experience as a cost estimator and project manager for commercial construction. Having worked for several construction companies around the United States and estimating projects up to $500 million, he comprehends all aspects of the construction process from preconstruction to project closeout. Randy was born and raised in New Martinsville, West Virginia. He attended West Virginia University Institute of Technology and received his B.S. in Mechanical Engineering. Randy has lived in several different places throughout his career, including Ohio, Virginia, Washington D.C., Georgia and now Pittsburgh. In his spare time, Randy enjoys working out, reading and biking. As general contractors, it is our job to have a proactive culture with regards to safety on the job site, remembering always that the well-being of everyone involved in the project is our primary responsibility. An example of this occurred recently at The Waldorf School in Bloomfield, a city-designated historic landmark from the late 1800s that was converted into a school/daycare facility. 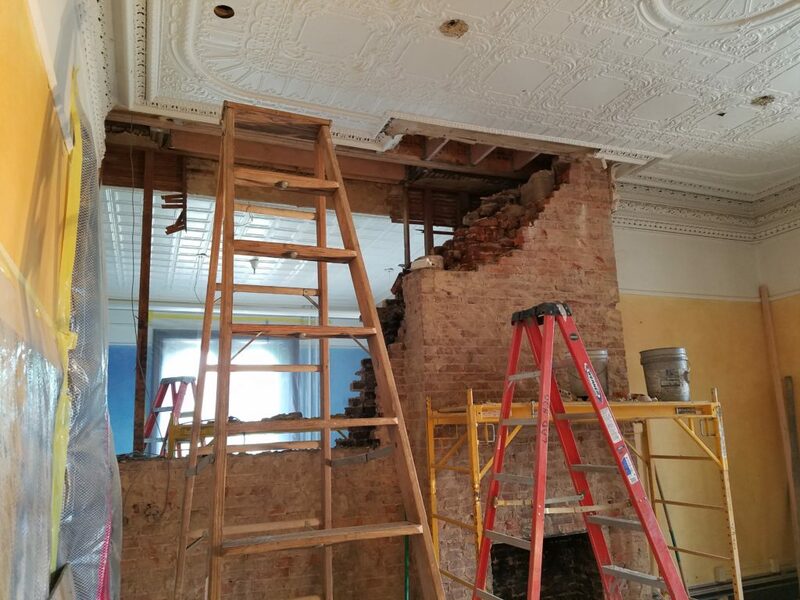 Landau was hired to do renovations which included the removal of a three-story brick chimney. Before construction began, the local EMS was invited to tour the site in order to become familiar with the building and the layout. By touring the facility, the local fire department and EMS services became familiar with the site which enabled them to develop a plan on how to reach employees quickly and what equipment they would need on hand. Similar precautions were taken at the Wheeling Hospital Continuous Care Center. As the foundation was constructed, crawl spaces were left for the electricians and plumbers to eventually install their equipment. Landau arranged for the EMS to visit the site and understand the situation in case of an emergency. By taking the time to assess safety issues before the start of construction and getting the right people involved at the outset, the safety and productivity of everyone on the job is enhanced.